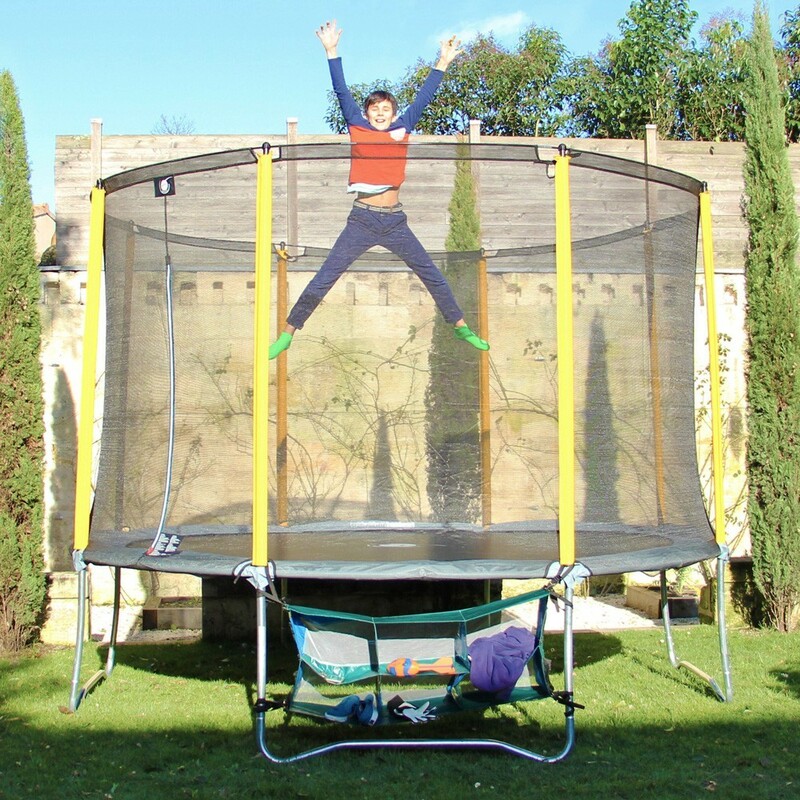 Round trampolinbe with a diameter of 3.6m, designed for young children. 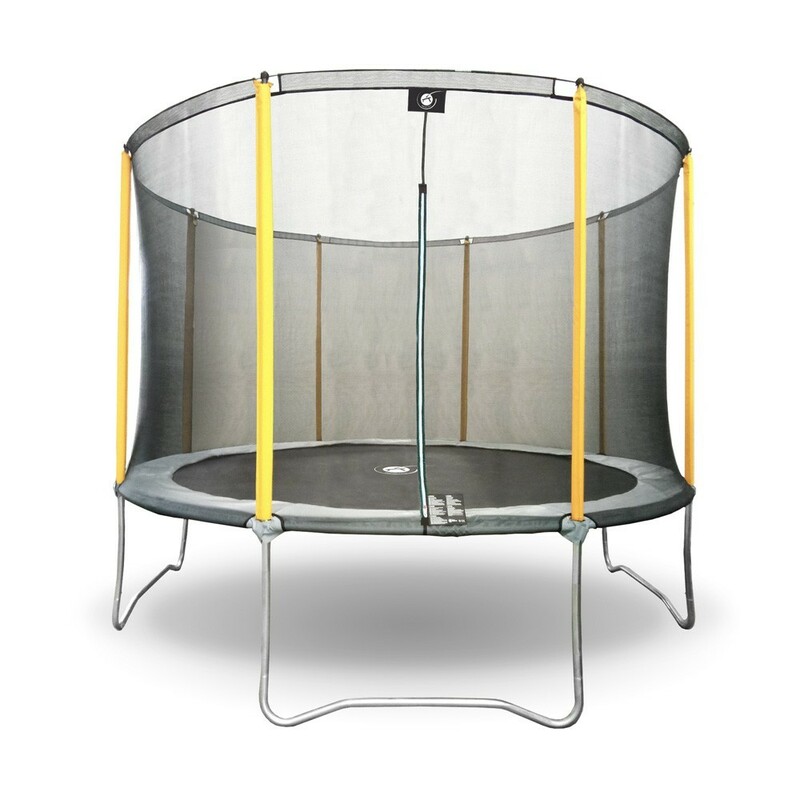 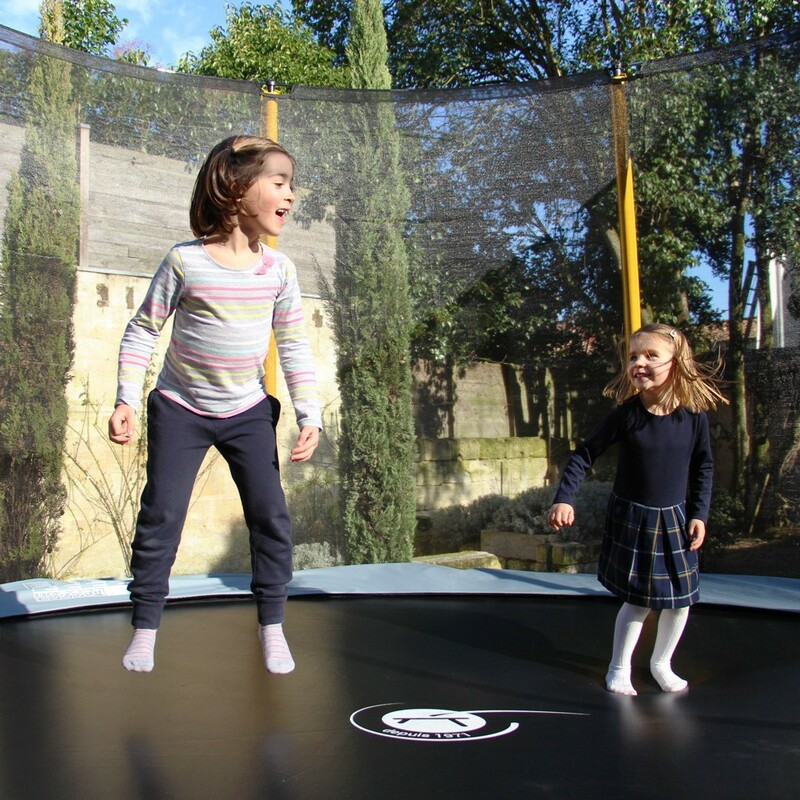 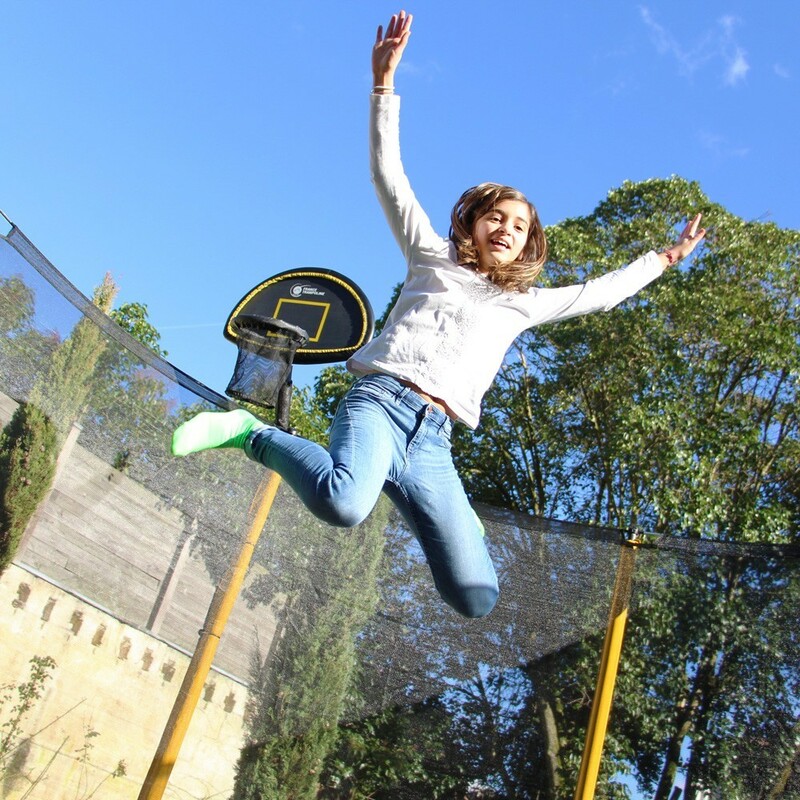 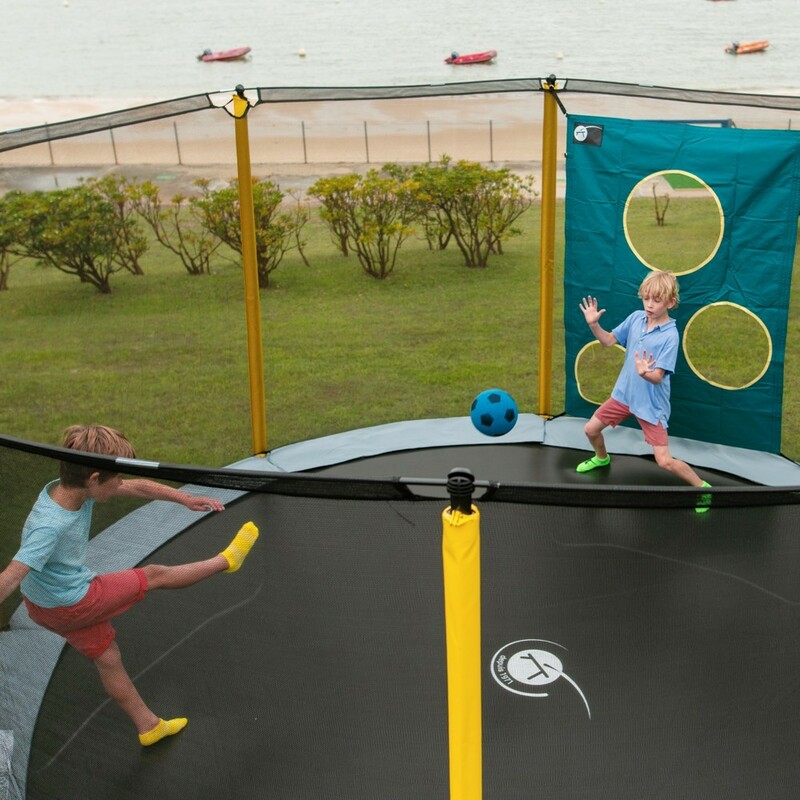 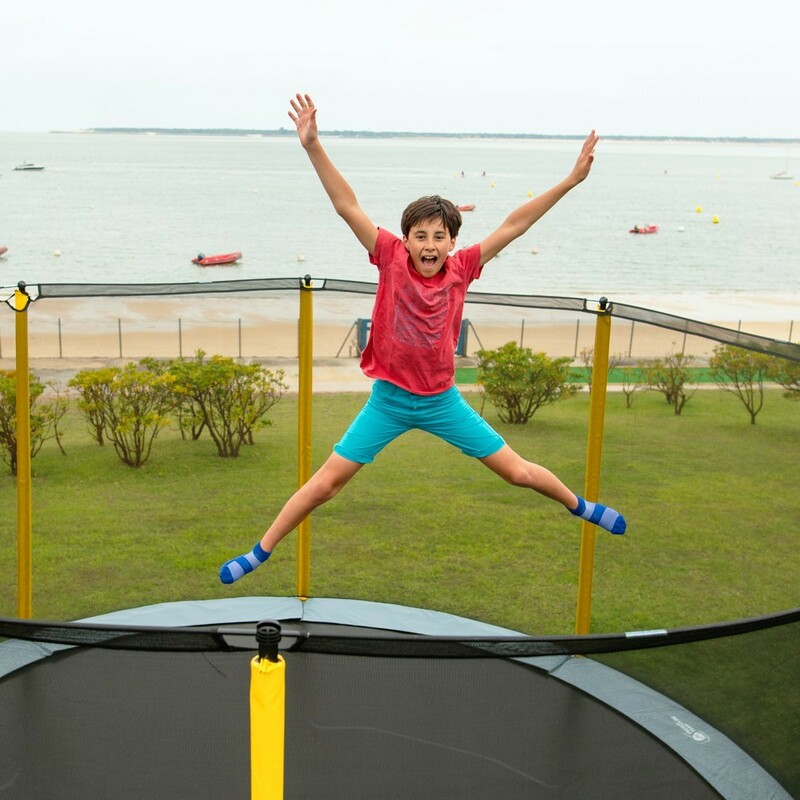 The 360 Initio trampoline is the ideal combo for your children to discover the joys of trampoling. 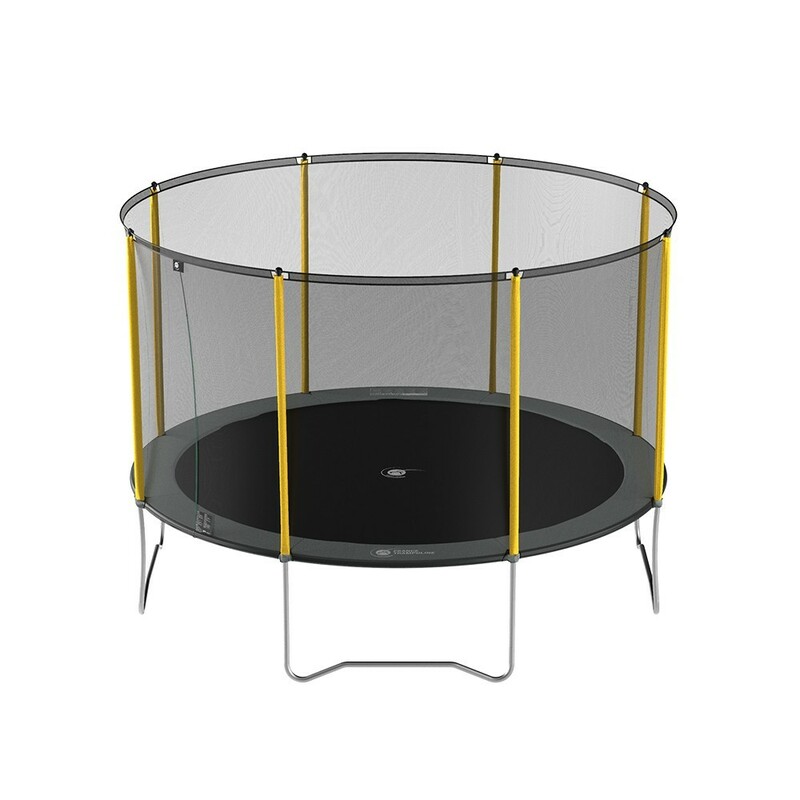 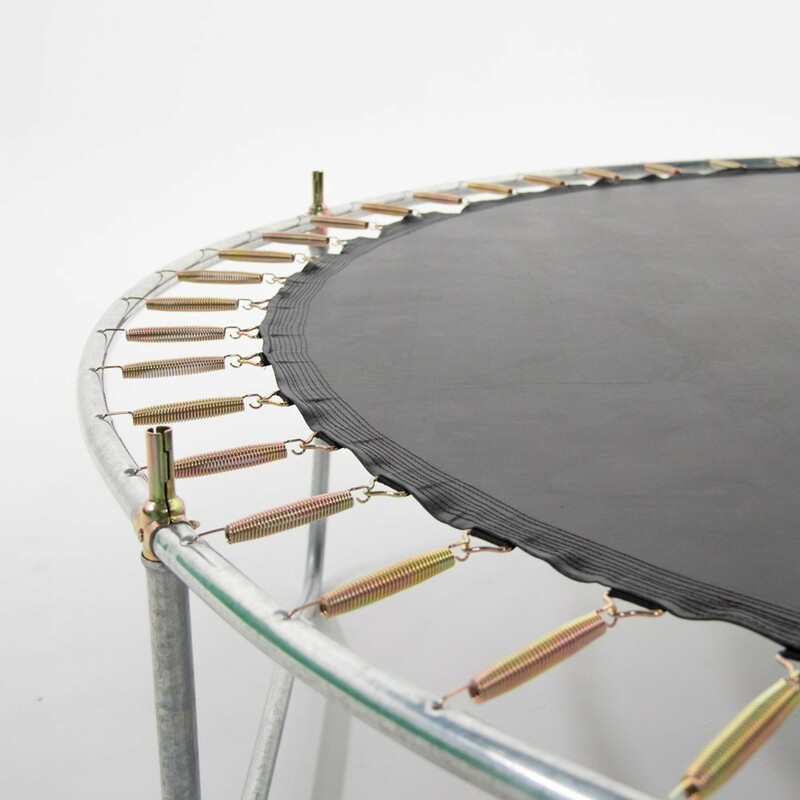 A spacious trampoline where your children will be able to link flexible tricks at a low price. 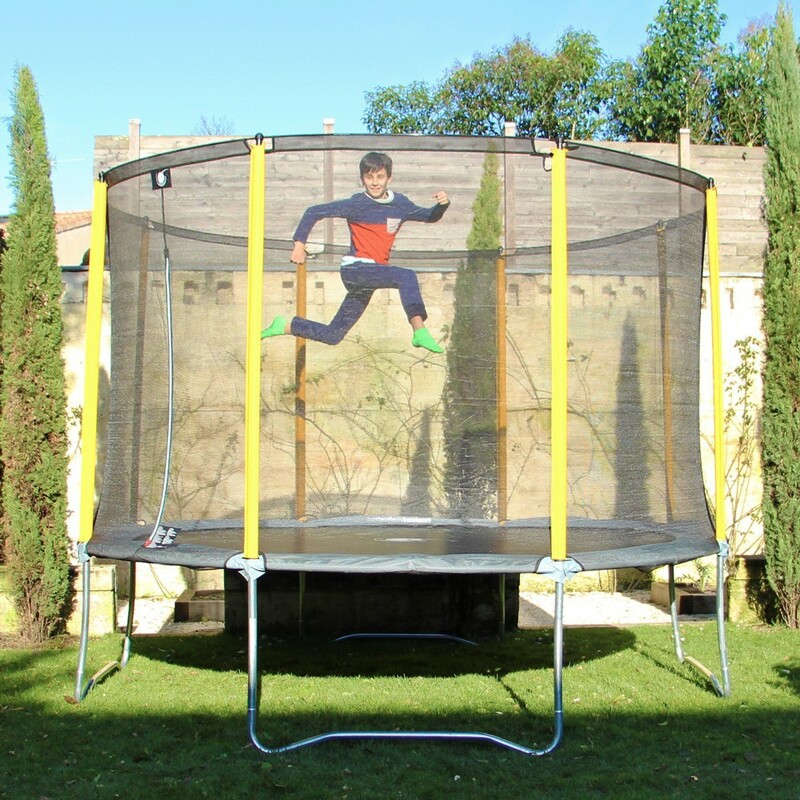 - Its 3.6m diameter offers a spacious jumping area which will fit in medium to large gardens. 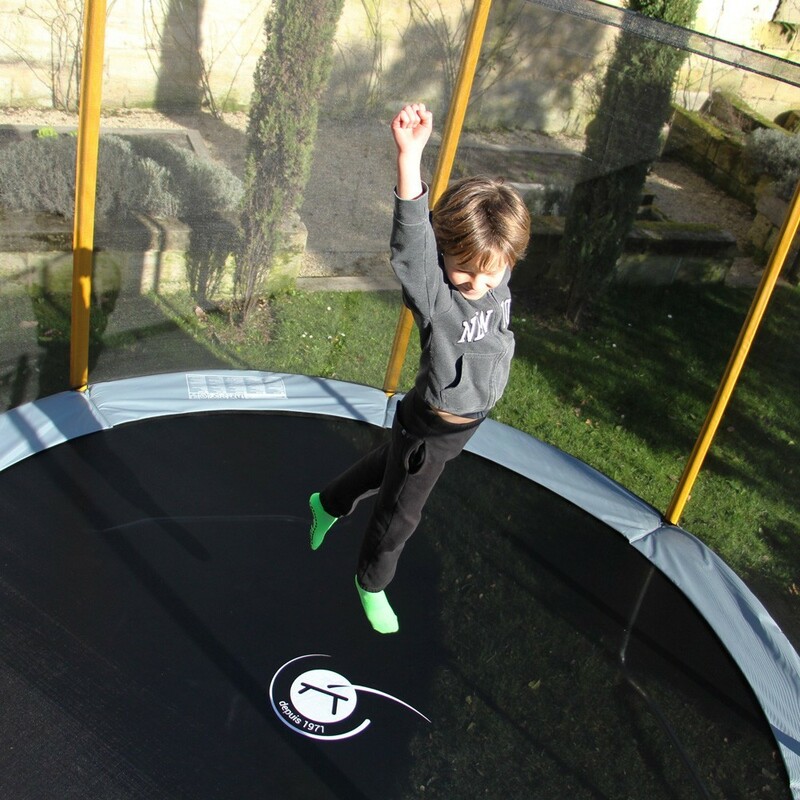 - Its multiple springs, 72 in total, at 165mm long will allow you to achieve flexible bounces and beginner tricks. 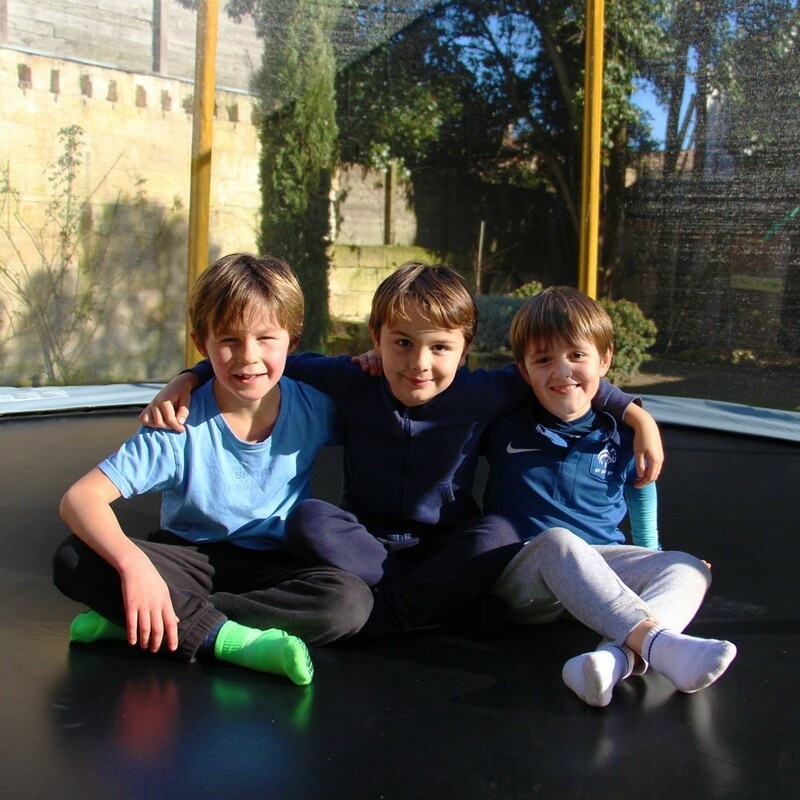 This spring length is ideal from introducing young children. 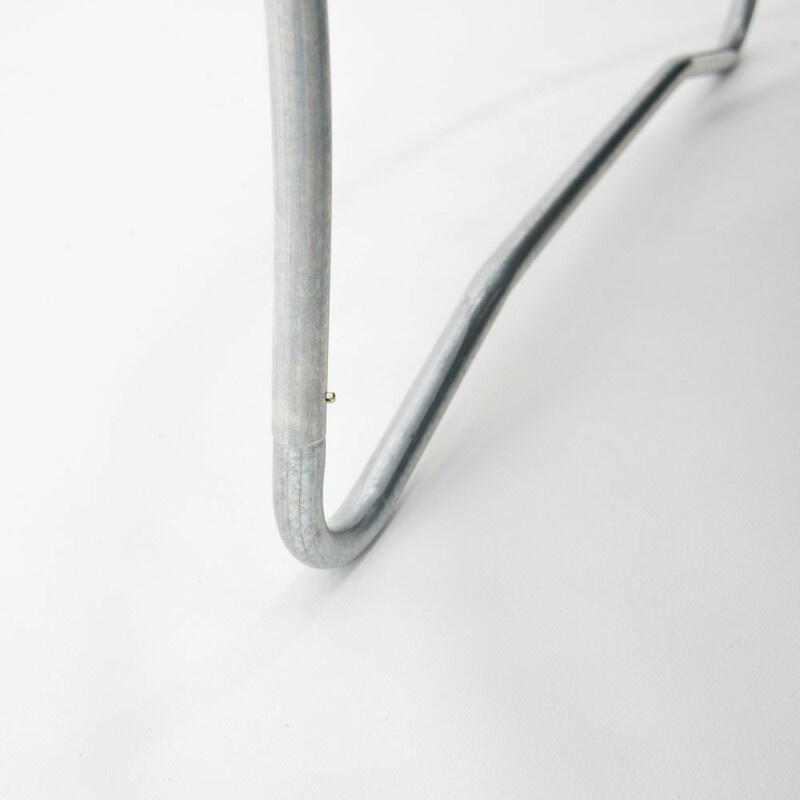 - The framework is made from steel, 38mm in diameter and 1.2 mm thick. 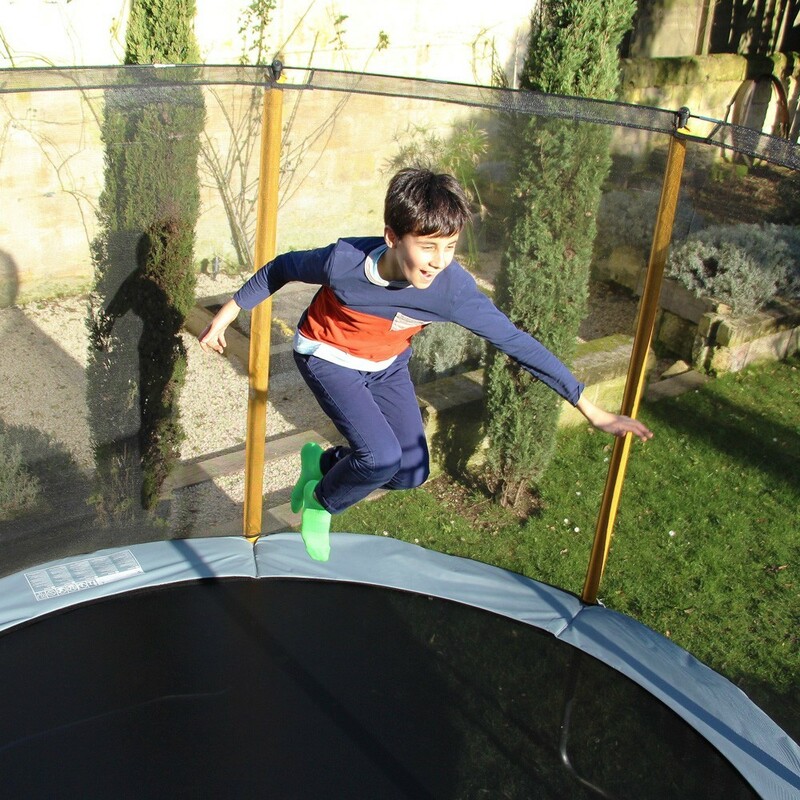 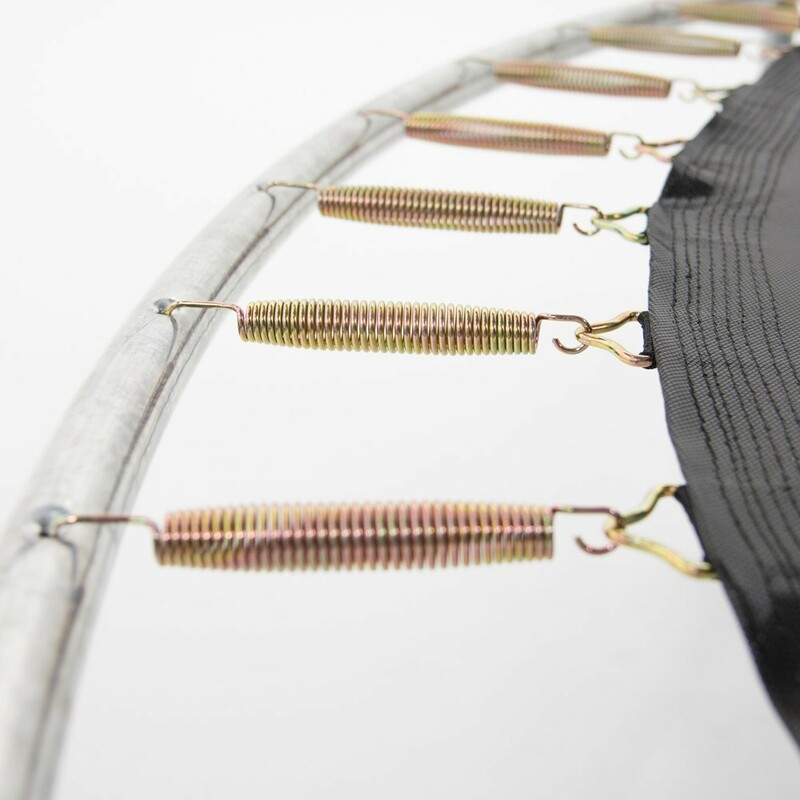 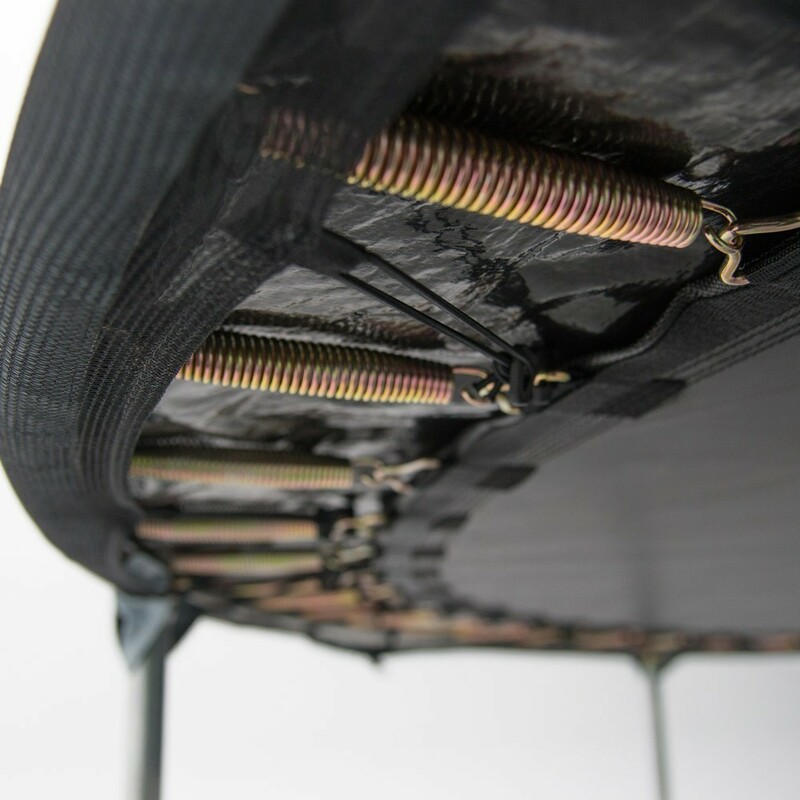 The steel is fully galvanised which prevents corrosion, and will therefore resists to almost every weather condition allowing you to keep your trampoline outside all year round. 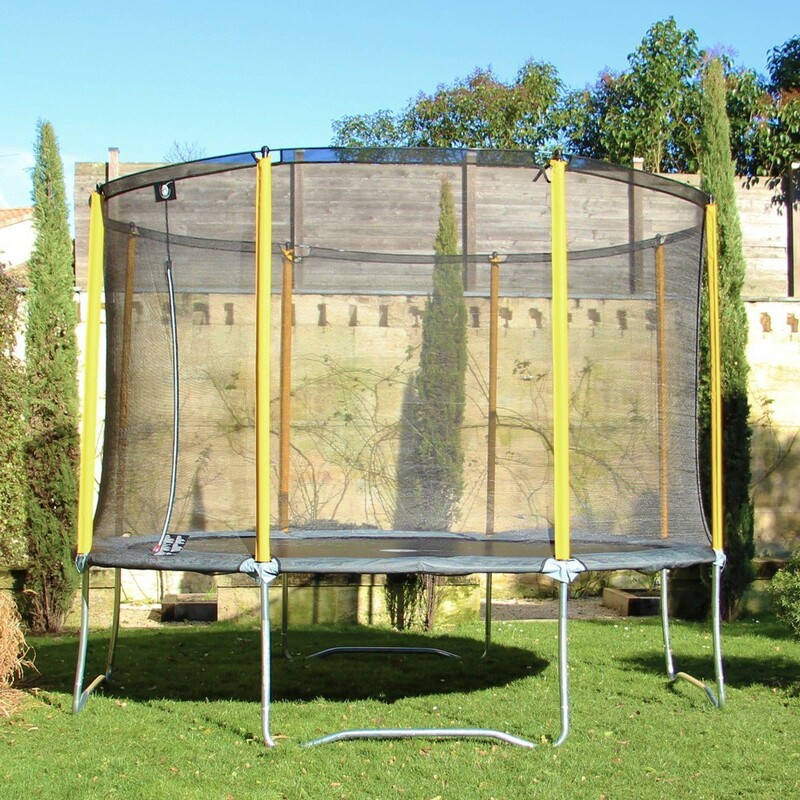 - The frame is held together with X junction components, a France Trampoline novelty, which securely maintains the structure and allows you to easily assemble your trampoline. 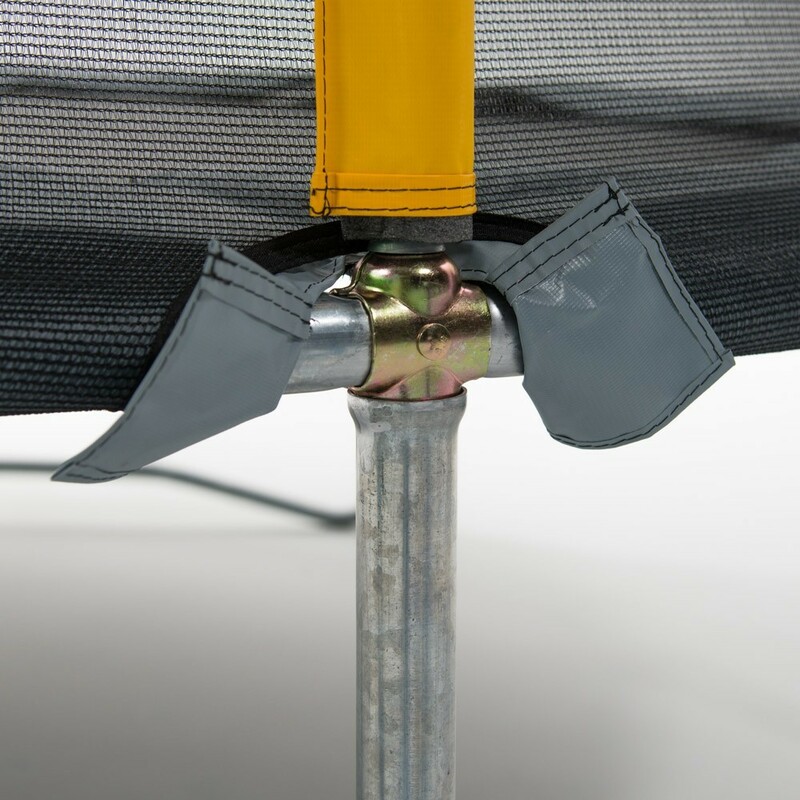 - 8 high strength steel posts hold up the safety enclosure with the help of fiberglass rods found at the top of the structure. 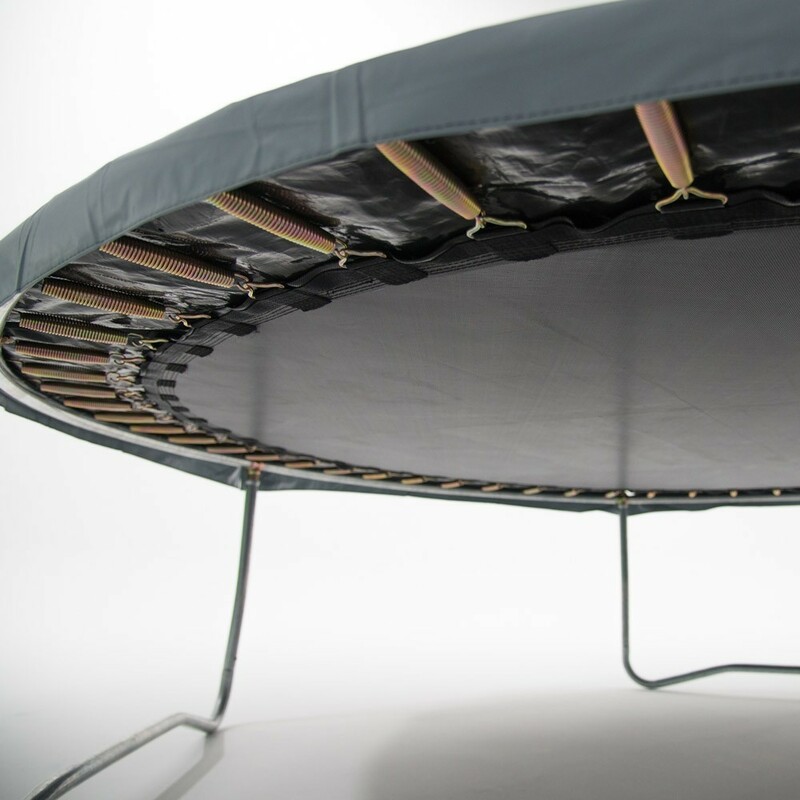 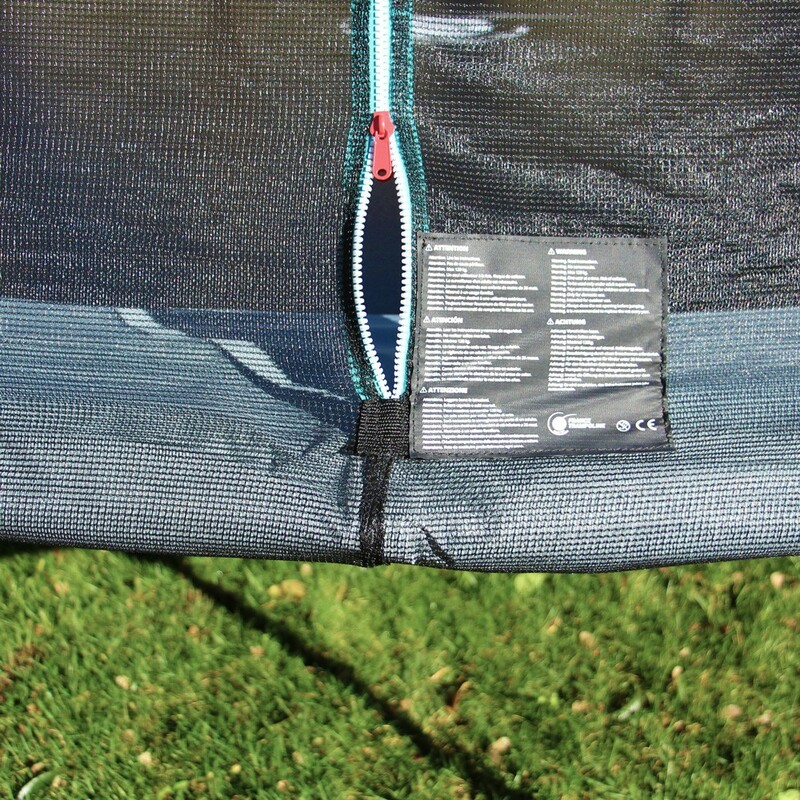 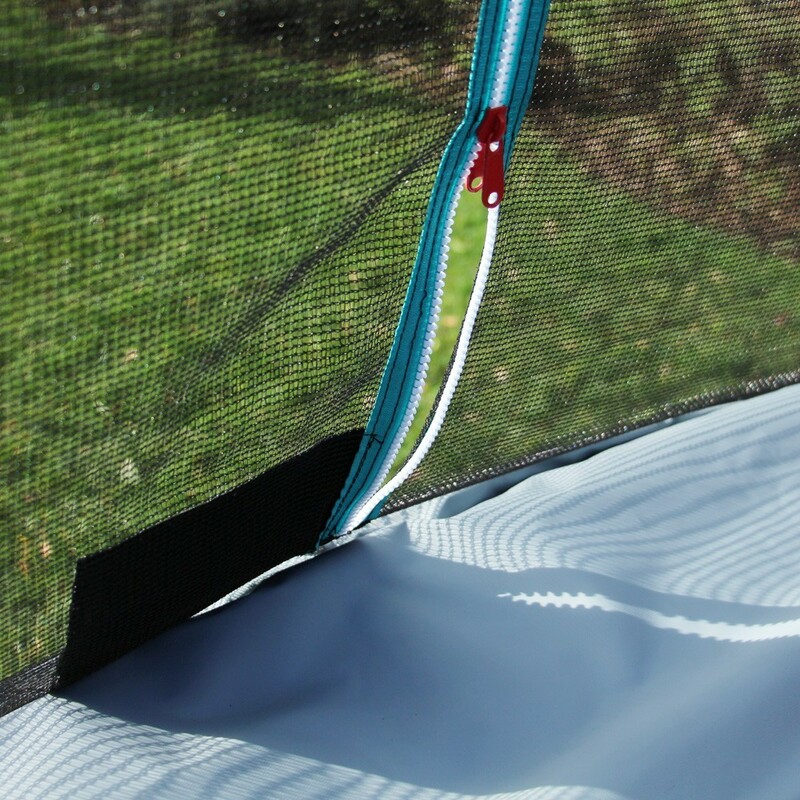 A vertical double zip door allows you to enter and exit the jumping mat. 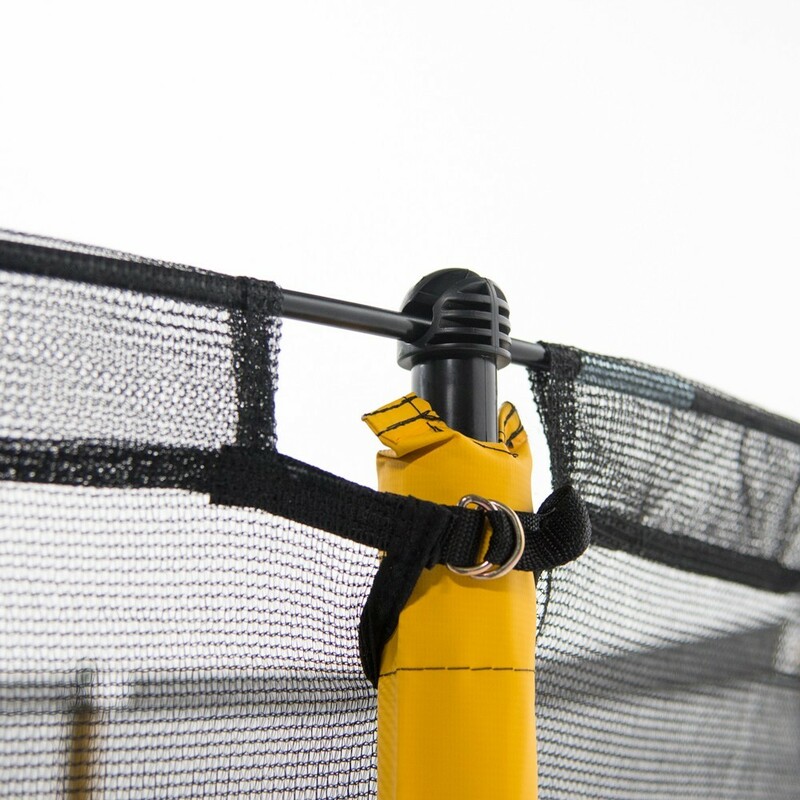 - The protective frame pad keeps your jumpers from injuring themselves as it entirely covers the springs. 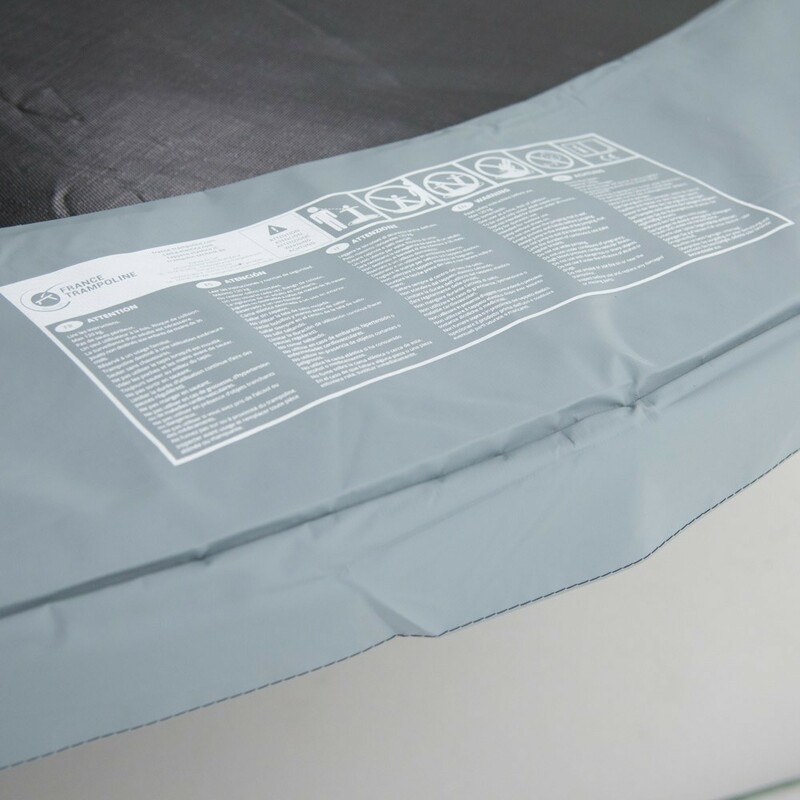 The frame pad is made of high density foam strips and covered with grey PVC.